The roots of Merion Mercy Academy stretch back to 19th century Ireland when an Irish heiress named Catherine McAuley, opened the House of Mercy in Dublin on September 24, 1827 on the feast of Our Lady of Mercy, as a place to shelter and educate women and girls. Catherine was a visionary who realized that education is the key to enable women to make a difference in the world and affect social change. Catherine was professed as the first Sister of Mercy in 1831 and she dedicated her life to serving the underserved, as do today’s Sisters of Mercy. Over 130 years later, Catherine’s legacy continues in the values and traditions at Merion Mercy Academy. Merion Mercy Academy has grown from a small village school established in 1884 to a premiere, transformative educational institution rooted in Catholic values, for today’s young women. Between 1892 and 1906, the present Motherhouse was built to accommodate the growing response from area parishes. It was and is resplendent with the beautiful convent chapel within which we are blessed to celebrate many liturgies as a community and an auditorium that holds many assemblies and performances for the school community. For the next 60 years, Mater Misericordiae, as it was known then, continued to grow exponentially. In 1954, the present school building was opened for girls in grades K through 12. The convent space was then devoted to housing the many Sisters of Mercy serving in the Philadelphia community. In 1968, the school’s name was changed from Latin to English, and Merion Mercy Academy garnered greater name recognition throughout the Philadelphia region. In 1986 a decision was made to merge girls in grades K through 8 with boys from Waldron and this is now known as Waldron Mercy Academy, which has operated as a separate entity from Merion Mercy for many years. 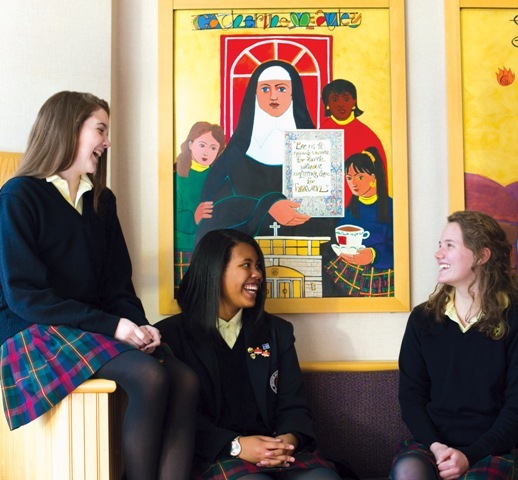 Merion Mercy Academy concentrated on the secondary education of girls, in grades 9–12, as it does today. 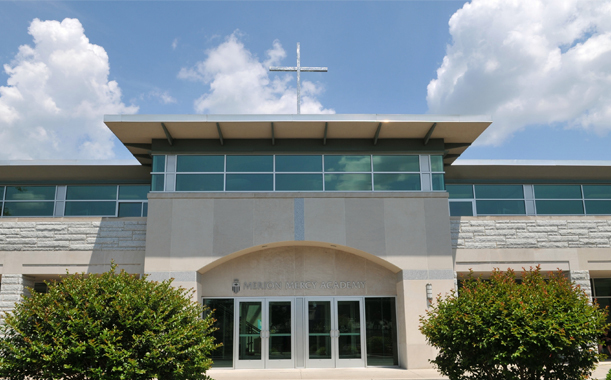 In 2003, Merion Mercy built a 27,000 foot addition that included a school chapel, administrative offices, student center, indoor track, dance studio and athletic training facilities. Significant renovations were also completed in the library/media center and music room. In July 2016, the school began a 15-month re-build project known as the Upward & Onward Campaign. The new spaces opened in fall, 2017. The renovations include the Frances M. Maguire '53 Art & Design Gallery, the Connelly Lyceum, a Student Activities and Athletics Center, an energy-efficient Kitchen and Dining Commons, a Counseling Center, and Collaborative Learning Spaces.